We are aware that over the years you have given enjoyment to countless people, an enjoyment that has been created off the misery of innocent lives that have been enslaved in your captivity industry - an industry that has tried to convince us that the life that resides there are happy with their fake environments, and we know that you have been approached and urged by countless others who wish for you to change your ways and release these lives back to their natural environments. 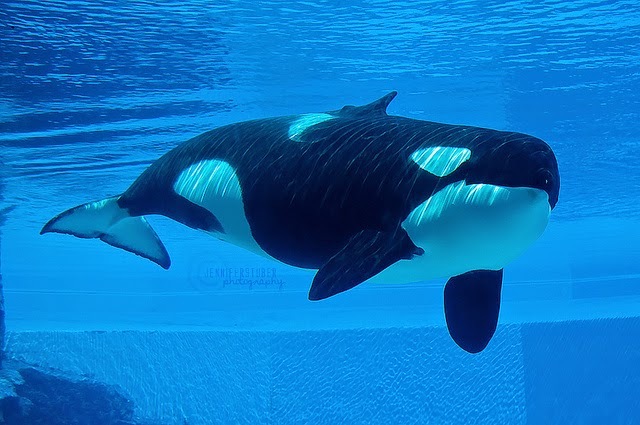 Such innocent lives as KISKA, a lone orca that is imprisoned within your walls. We are also aware of the state that she is in at the present moment -- according to sources she suffers from teeth problems, disintegrated dorsal fin and what appears to be a significant depression behind her blowhole, and other physical and psychological damage due to the 30 some years that she has been held prisoner - and that now she spends her days swimming alone in her concrete cell, not having any contact with any other orca since her orca companion was sent back to Seaworld in November 2011. You as a marine park need to fulfill your responsibility to these lives in which are in your hands, you hold the key that can undo the binds that keep them slaves, and it is now time to open your eyes and see that what you are doing is no longer going to be accepted and that it is causing more negative impact then positive. We are pleading with you to take the step towards a world where life is respected and the welfare of innocent life is put first before the profit and the almighty dollar - whether it be to "retire" her to a facility in the ocean, where she can become one with her natural environment again - reconnecting with her community and other orcas or in a place where she can live the rest of her days happy and with the comforts of others instead of the solitary in which she resides in now. We urge you to use your power to do what is right for the welfare and life of this innocent being - we are meant to be guardians - not captors or profit makers of such life. Kiska needs your help and voices, just as she needs our voices as a united world -- and it is up to you to make that choice, to make that right decision that will make a true difference in her life before it is too late. The World is Watching! Please Raise Ur Paw!